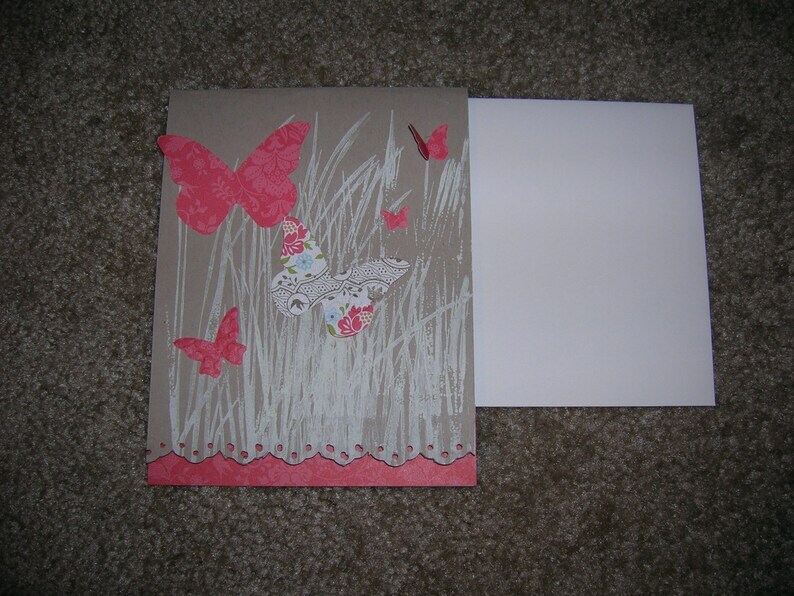 You will receive 1 handmade card made featuring flying butterflies in grass with a punched scallop lace border. The card measures 4 1/4' x 5 1/2" in size and is made using only quality Stampin Up products. Blank inside to write a heartfelt message of your choice. Card comes with an envelope wrapped in a cello sleeve. Please email with any questions and thank you for looking!